Brad Pitt is known for his dashing looks and versatile persona that he possess in his character. 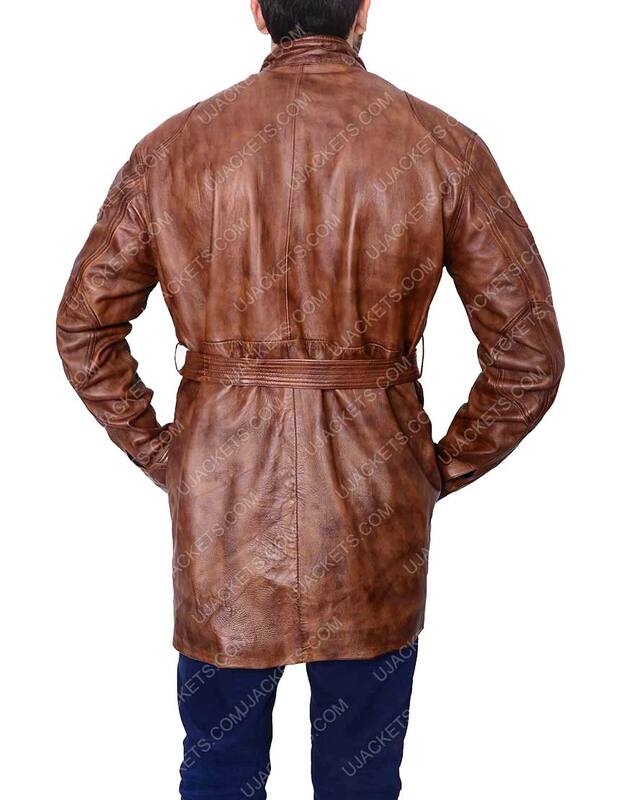 This Brad Pitt Benjamin Button Leather Jacket is one of his astonishing outfits’ collection that he often uses with his dynamic personality. It is uniquely crafted with a sense of high intrigue and flamboyant looks. 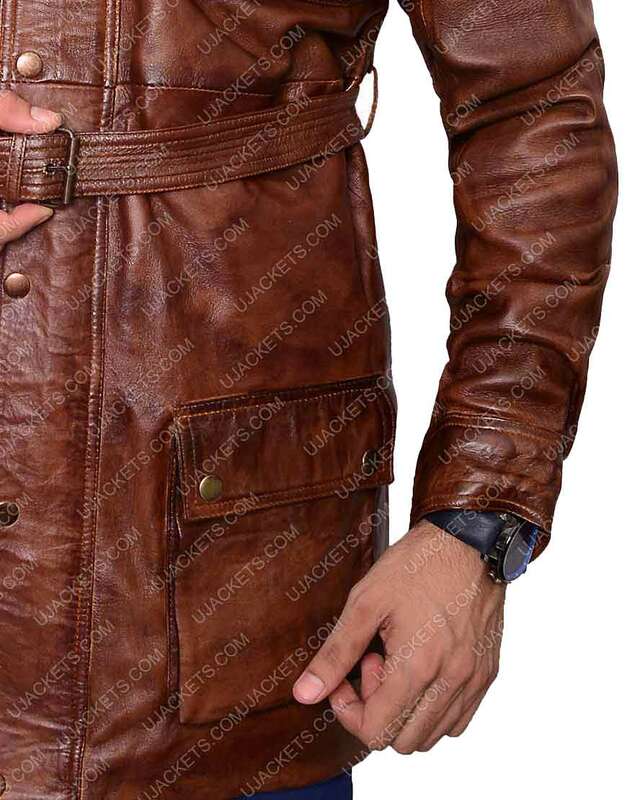 This exclusive apparel is designed with real genuine leather material and has gently unified full viscose lining inside for soft and smooth feeling in all conditions. 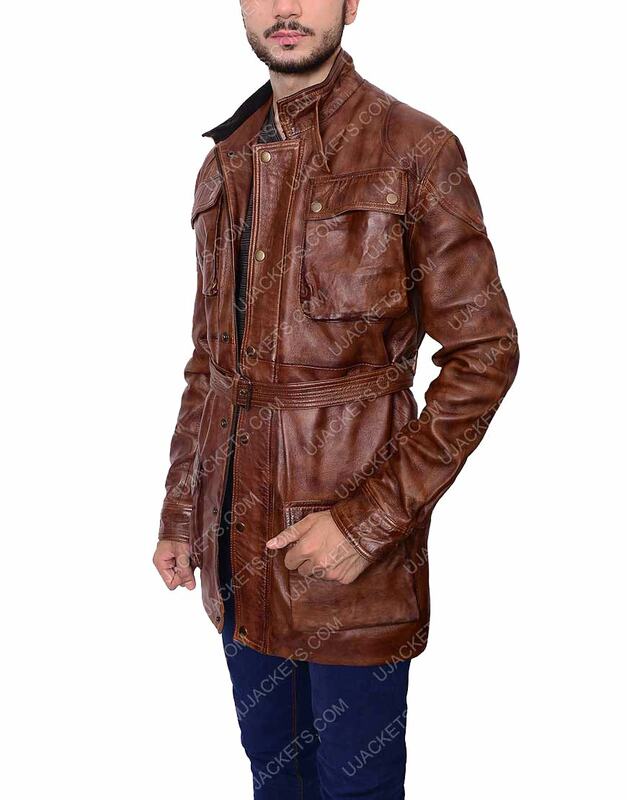 This Brad Pitt Benjamin Button Leather Jacket has a very artistically integrated snap tab stand up collar embroidered on the neckline, and has full front buttoned conclusion enhancing the elegance of the attire. Attractive Jacket Few days before I was walking on the road when I see a guy wearing this jacket. 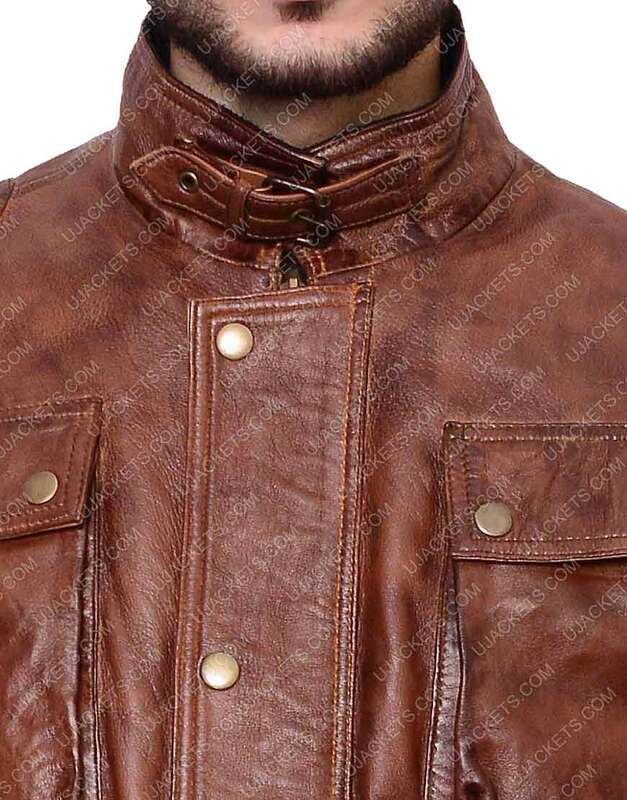 I was gazing him continuously he was looking so attractive, when I went back home, I search all the features of the jacket that I saw wearing the guy. 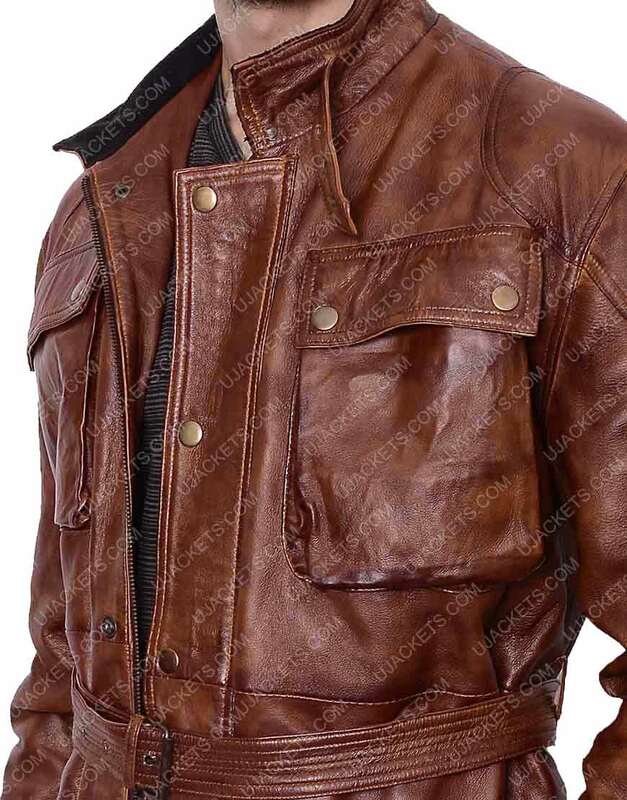 Then I get to know that the name of the jacket is Brad Pitt Brown Leather Motorcycle Jacket. 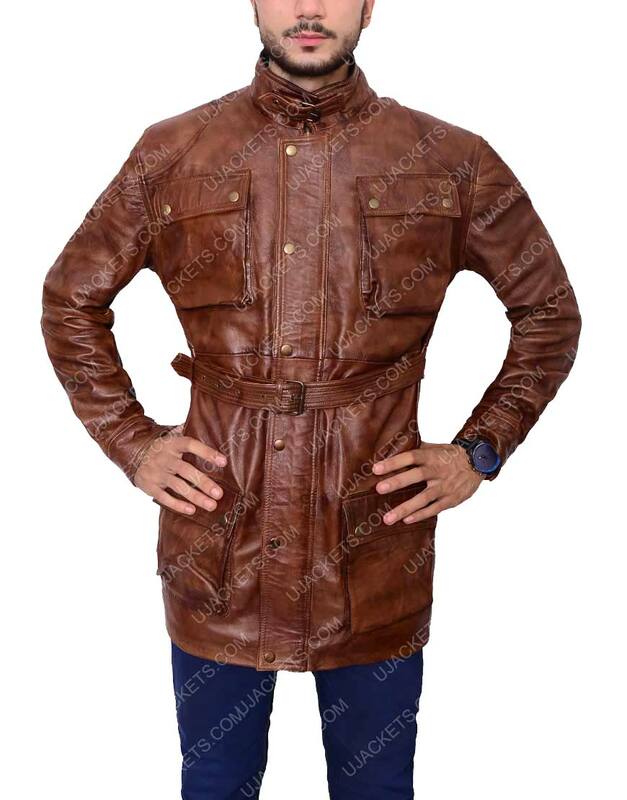 I ordered it soon and desperately waiting to see the jacket because I was little conscious about the material. But when I received you can’t imagine that along with features material was fabulous. Now, I love to wear, it’s too comfortable and can look slim using the belt. I recommend all those guys who want to order feel free and go ahead.